Sheffield College and the Prince’s Trust are offering this free programme to 16 to 25-year-olds who are neither in work or full-time education but would like the chance to gain new skills, work towards gaining qualifications and build their confidence. The course starts on 24th September 2018 with further intakes in January and May 2019. 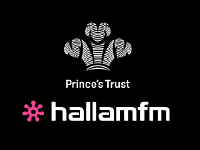 Spend a week at the Hallam FM studio, use professional broadcasting equipment,create a podcast and share it with guests as part of the final challenge. This exciting course is available to 16 – 25 year olds living in and around South Yorkshire, who are not in full-time employment, education or training.